About a year and a half ago, I had the opportunity to see a Philadelphia post-rock band called Cloud Minder perform as one of two openers for the band, Earth. 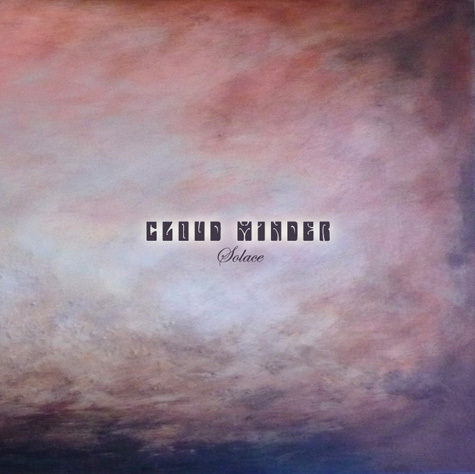 Cloud Minder is in the process of releasing their latest LP, Solace, and they're now promoting a Kickstarter fund so that fans can contribute to its production and distribution. Seems simple enough, but what makes this story more poignant is that one of the band's members, Dave Sommer, is battling brain cancer. I was contacted by band member Bob Burns Stokes III, who also works at the Philadelphia venue Johnny Brenda's and creates Cloud Minder's poster art and t-shirts. Since the band can't tour currently, he explained to me that they're limited with what they can do to raise money, not only in terms of getting their album out to the public, but also for Sommer's hospital bills. You can check out their story here, or at their Kickstarter page. It's an unfortunate situation and I'm sure every bit of help would be appreciated beyond all measure.